It’s that time of year again, when the days are hot and the Sunday supplements are full of ads for notebooks, pens and back-to-school outfits. But getting ready for another school year doesn’t just mean stocking up on such “old school” supplies. Today’s well-equipped college student will also be toting an assortment of digital gadgets, ranging from study aids to mobile gear and tools for protecting your data. Here we bring you some back-to-school gadgets and gear that will prepare a student for the rigors (and joys) of the academic life. We looked for items with at least a nominally educational connection that would fit into a student budget. Most of them have list prices of $50 or less, and only a few top $150 (mostly for their higher-end models) — and you can usually find them for less if you shop around. We did, however, include a couple of expensive items to ask your parents for at the end of the story. Portability was key in our gadget selection. Students are on the move a lot, often on foot or bicycle, so lighter and more compact beat bulky. Style also counted, but since everyone’s style is different, we basically leaned toward choice, especially in color. Looking for a laptop? See Back-to-school laptops: Best Buy exclusives reviewed. Your laptop is your most important academic tool, so it’s essential to protect it whether you’re in your room or out and about. There are a few good reasons to raise your laptop up off your lap — or off your desk. One is to keep it cooler — getting a little air flowing around your laptop will help dissipate the heat buildup, which will prolong its life. Another is to protect whatever’s underneath it (like your legs) from getting scorched. And then there are the health benefits of moving the display closer to eye level and putting the keyboard at a more ergonomic and comfortable angle. For desktop use with an external keyboard and mouse, consider the Kensington Easy Riser Cooling Notebook Stand ($30). The Easy Riser is a tilted plastic stand that holds the base and keyboard of your laptop. A lip at the bottom and rubber pads on the plastic keep your laptop from sliding off the stand, while the open back promotes cooling. Kensington Easy Riser Cooling Notebook Stand. Once the laptop is secure, you fold the display back until it’s vertical, and then adjust the angle of the base — and thereby the height of the display — to get it to a comfortable viewing height. And when you’re not using it, you can fold the whole thing flat, making it easy to move or just reclaim some desk space. If you don’t use an external keyboard, you need a stand that supports your laptop’s keyboard at a comfortable angle. Try the simple, straightforward and bargain-priced HandStands Cool Lift ($10). It’s just a base with four pillars that raises the back of your laptop about an inch and a quarter to increase airflow but leaves the front at almost desktop level. The resulting angle can be easier on your wrists than typing on a flat keyboard. HandStands Cool Lift laptop cooler. It does come with a couple of caveats: Some users report that the bottom of the Cool Lift is a little slippery, so you might not want to use it on a tilted surface, and some say it’s a little small for 17-in. laptops, which therefore need careful centering. But those quibbles aside, you can’t beat the price-performance ratio. Of course, you don’t always use your computer at your desk. When you’re using a laptop the way the name suggests, you need something to keep your thighs from frying, such as the Targus HeatDefense for Laptops ($30). It’s a quilted plastic place mat filled with heat-absorbing crystals, like a microwavable heating pad. The crystals liquefy as they absorb heat and recrystallize when they cool. Once the crystals liquefy under the part of your laptop base that gets hot, the bottom of the pad in that spot can get pretty warm itself. But you can easily turn the mat from time to time to keep a crystallized part under the hot spot. The HeatDefense is manufactured by ThermaPak Technologies, which offers its own version called the HeatShift (available in three sizes, from $28 to $35). The HeatShift is thicker than the HeatDefense — you can roll it up, but not fold it — and comes in black, pink and white. Here, too, there are lots of choices, and what works best for you depends mostly on how much you need to carry besides your computer. If all you need to carry around is a laptop and accessories, the Higher Ground Shuttle 2.0 (ranging from $40 for the 13-in. model to $60 for a 17-in. version) fits snugly around your laptop, with a Velcro strap to hold it tightly. Inside the case are a dozen slots for CDs or DVDs, while the outside features a modest pocket big enough to hold a power brick, some thumb drives and your lock. The bag has a handle on one end for carrying vertically, plus a detachable shoulder strap, and you can order a backpack attachment for $10. Higher Ground Shuttle 2.0 notebook bag. But what puts the Shuttle over the top is that the laptop side has a nonslip exterior and four rubber bumpers on the inside, so you can use your laptop without taking it out of the bag and still get cooling airflow around it. The Shuttle comes in black, blue, olive, red and magenta, though not all colors are available in every size. If you need to carry a few more things, move up to the Solo Urban Vertical Messenger ($60, fits up to a 15.4-in. laptop). Solo Urban Vertical Messenger notebook bag. The Solo’s top flap has a small zippered pocket on the outside. You can unbuckle it and open the flap to find more space and several organizer pockets for a phone, ID cards and (at least according to Solo’s photos) a flashlight. On the back is a large pocket for newspapers, magazines and other papers you might accumulate. This one comes only in black and olive drab, for that tough army-surplus vibe. Some people prefer to stow their notebooks in a regular backpack, with a minimalist sleeve protecting the computer. If this is your style, try the Built Cargo Laptop Sleeve (from $40 for a 13-in. model to $50 for 17-in. devices). Made of neoprene, it comes in three sizes and can be sized and stretched to fit pretty much any laptop. Built into the outside of the neoprene and defined by decorative stitching are three pockets: one flash-drive size, one phone size, and one power-brick size (for smaller power bricks, anyway). The Cargo sleeve comes in orange with dark green accents, olive green with bright green accents, or black with light blue accents. Kensington MicroSaver Keyed Retractable Notebook Lock. Now that you’re ready to take your laptop out and about, how do you keep it secure when you get where you’re going? Laptop locks aren’t exactly impregnable, but they’ll at least slow down the grab-and-go thief. Don’t overthink it — just get something that’s convenient to carry and use, such as the Kensington MicroSaver Keyed Retractable Notebook Lock ($35). The four-foot cable retracts into the case, giving you a compact package to throw in your bag. Once you get the lock, register your key code with Kensington so the company can send you a new key if you need one. Don’t try to get through the school year without a backup plan of some sort. The first line of defense is an external hard disk. Seagate FreeAgent Go external drives in an array of colors. It’s easy to toss into your backpack or laptop bag — it’d probably even fit in one of the pockets on the Cargo Laptop Sleeve. That makes it easy to take that big video project to class, your current work home for the holidays, or your music collection to a friend’s house. Face it, you can never have too many USB ports. Between your iPod or iPhone, printer, camera, external hard drive, flash drives, keyboard and mouse, you can wind up spending way too much time swapping cables. You need a hub. The Belkin USB 2.0 Plus Hub ($30 for a four-port model, $50 for seven ports) has its own power supply, which is important — sometimes the power provided through a USB port is not enough to get a device to perform properly. It’s convenient, with two ports on the top for the devices you need to plug in quickly and occasionally, like thumb drives. And there are little clips on the side to run your various USB cables through, reducing that tangle of wires on your desk. Belkin USB 2.0 Plus Hub. Finally, these hubs are made so that they can snap together. You can stack a four-port model or another seven-porter on top of the seven-port version to get 11 or even 14 ports. Hmm, maybe you can have too many USB ports. The Powerstick is no bigger than a thumb drive, contains a rechargeable lithium polymer battery, and recharges by plugging into a USB port, which means you can use anybody’s USB port, anywhere, to recharge it. When bringing your entire assortment of dedicated chargers is impractical — or when you find yourself unexpectedly away from home for a day or two — the Powerstick could be invaluable. “Amazing” was the response of everyone we showed the Livescribe Pulse Smartpen (1GB $150, 2GB $200) to, and with good reason. This pen has a digital recorder built into it, but that’s not particularly startling. What makes it amazing is that when you write on the special paper that’s included (with more available for purchase), a tiny infrared camera in the nose records your pen strokes as well. Later, if you touch the pen to what you wrote, the pen will replay what was being said at that moment. Not sure what the professor just said and want to look it up later? Just draw a question mark in the notebook, and touch the pen to the question mark later to listen to it again. Are you sure the teacher said the homework wasn’t due till next week? Touch the pen to where you wrote down the date and prove it, in the teacher’s own voice. Your notes don’t have to be text, either — you can draw, doodle, make an x, whatever — and the pen will remember the place in the recording. Livescribe claims the 1GB pen can hold more than 100 hours of recording, depending on quality setting and other factors. Later, you can transfer the whole shooting match — drawings and synced sounds both — to your computer using the USB charging cradle. Blue Microphones Mikey digital recorder. If that sounds like overkill, consider getting a Mikey microphone ($80) for your iPod. The Mikey is a high-quality microphone built by Blue Microphones, a 15-year-old professional recording microphone company. When you attach it to your dock connector, the iPod automatically switches to Voice Memo mode, and you can use it to record meetings, lectures, music or anything else. You can then listen to the recordings on the tiny built-in speaker or upload them to your computer. A particularly nice touch is that the microphone swivels up and down, so you can place the iPod in whatever configuration works best for the purpose — flat on the desktop, or angled toward a single-point source of sound. WizCom likes to call its InfoScan TS Elite portable text scanner ($200 list, but we found it online for prices ranging from $120 to $170) a “highlighter with a brain,” and that’s about right. It looks like an electronic thermometer, with a 2- by 4-in., six-line screen and a 5/8-in.-wide tip. You drag the tip across some text — it has a guide wheel on either side of the scanning head to help your aim — and the pen performs optical character recognition (OCR) on the text, displays it on the screen, and stores it in memory. When you get back to your computer, you connect the pen with the included USB cable and use the WizCom software (available for Windows only) to transfer the text to your computer. The pen can scan text with characters as small as six points and as large as 22 points and, according to WizCom, it can hold about 500 pages worth of material. InfoScan TS Elite portable text scanner. Perhaps what’s most impressive is the accuracy of the translation from scan to text. The InfoScan did a better job on the various books and newspapers we tried it on than our flatbed scanner usually does with the desktop OCR software it came with. A series of new handheld, nearly iPod-size video cameras have emerged, and they’re great for taping lectures and taking lab notes (not to mention making embarrassing YouTube videos). They’re available from Kodak, Pure Digital, Sony and Creative Labs, and the manufacturers are leapfrogging one another in features and quality all the time, so whichever one is “best” may not be best for long. The fact is, they’re all pretty good, and you won’t notice quality differences unless you do side-by-side comparisons. Pure Digital Flip Ultra video camera. That brings us to ease of use, and none of the rivals can top Pure Digital’s Flip for straightforward interface. See the big red button? Push the big red button. That’s it. The Flip Ultra models (Ultra with VGA resolution, $150; UltraHD, $200) use standard AA batteries rather than permanent rechargeable battery packs, which makes them more flexible — you don’t have to worry about waiting to recharge before you can continue shooting. But you can also get the rechargeable Flip Video Battery Pack ($25) and have the best of both worlds. The included video editing software makes it easy to do quick edits — and, yes, upload to YouTube if that’s what you’re after. We couldn’t resist including a couple gadgets that are outside most college students’ budgets. We’re not suggesting that you spend your hard-earned dough on these products, but you might want to drop a hint about them to a relative who’s looking to give you something extra-special as you head back to school. We know you’ve heard of Amazon.com’s Kindle e-reader. The recently released Kindle DX ($489) features a larger screen (9.7 inches) than the original model, making it better suited for newspapers, magazines — and textbooks. The screen auto-rotates, so you can turn it sideways to see a full-width table, map or graph. It’s also a PDF reader, so you can use it to read any PDF file you put on it with your computer. And it has a built-in dictionary. At the time of the DX’s launch, Amazon announced a trial program for e-textbooks on the Kindle at a couple of universities, and it said that it had formed a partnership with three major textbook publishers. The fruits of those initiatives are still unclear — few textbooks are yet available, and pricing and distribution questions remain. Currently, Canadians don’t have any over-the-air service to download books to the Kindle. But the prospect of carrying a single 18 oz. device instead of several pounds of books makes the DX a good bandwagon to get on — especially if you don’t have to buy the ticket. College life is more than just academics, and one of the major social outlets is music — listening and sharing. Logitech’s Squeezebox digital music servers ($299 to $399) are a great way to do both. These devices connect to the same wireless network your computer is on and let you stream music from your iTunes or other media library. They can even connect to your Pandora and Last.fm stations, pick up Shoutcast and Live365 Internet radio, and tune in almost any streaming music source you can find. And if you give everyone on your network the free SlimServer server software, you can listen to their music collections as easily as you can your own. 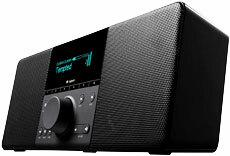 The Squeezebox Classic, also $299, connects to your existing stereo and has a display and a basic remote control. But if you really want the snazziest setup, the top-of-the-line Squeezebox Duet ($399) comes with a remote control equipped with a screen that itself is a network device, enabling you to control the Squeezebox receiver from anywhere you can get a wireless signal.